Kid Icarus: Uprising, known in Japan as New Light Mythology: Palutena's Mirror, is a third-person shooter developed by Project Sora and published by Nintendo for the Nintendo 3DS handheld video game console. 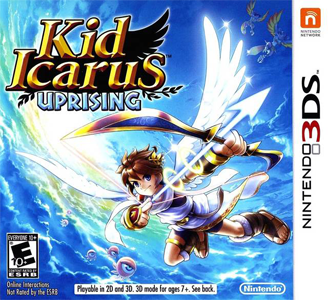 Released worldwide in March 2012, it is the third installment in the Kid Icarus franchise and the first to be released since Kid Icarus: Of Myths and Monsters in 1991. Kid Icarus: Uprising runs great in Citra, but more testing is required. Accurate Multiplication must be enabled to fix overlapping subtitles. Grind rails appear invisible to the player (more testing needs to be done to see if this occurs on other versions as well).